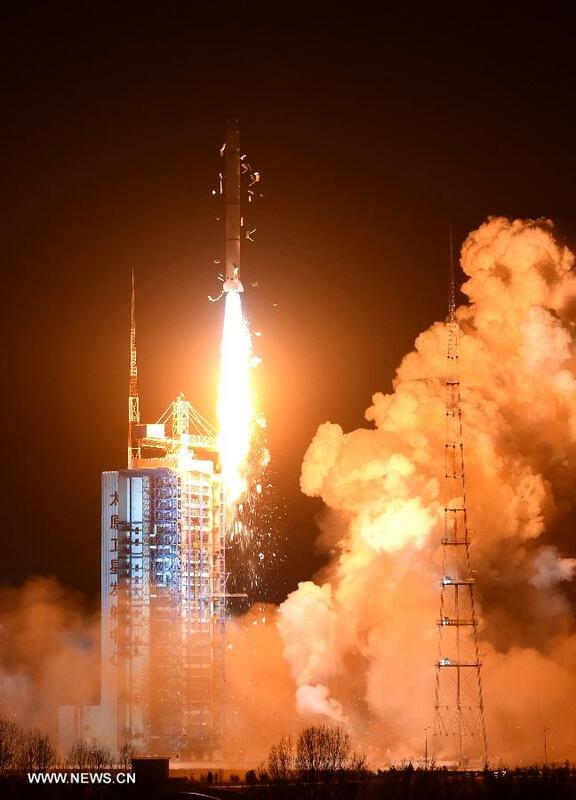 China was in action for the second time this week on Friday with the launch of a trio of Yaogan-30 satellites atop a Long March 2C rocket to join a growing constellation of what are believed to be electronic intelligence-gathering satellites residing in non-synchronous Low Earth Orbits 600 Kilometers in altitude. Friday night’s liftoff from the Xichang Satellite Launch Center in China’s Sichuan Province occurred at 18:10 UTC, 2:10 a.m. local time, as confirmed by posts on Chinese social media. The 40-meter tall rocket was headed to the south east, heading across the Chinese mainland before flying out over the Pacific Ocean, passing just south of Taiwan. A confirmation of launch success is expected later in the day through Chinese news outlets when the three satellites have been dispatched to their target orbit. 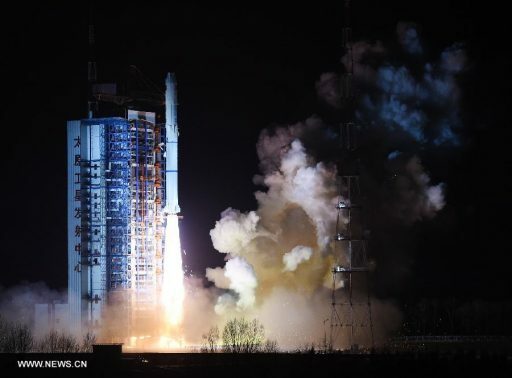 The launch came on the heels of the successful Long March 6 launch with three Jilin-1 video satellites on Tuesday as China continues to step up the pace of their launch activity after the usual slow start in the first half of the year. Friday’s mission was China’s 14th orbital space launch in 2017 and the 256th overall mission of the Long March rocket family. 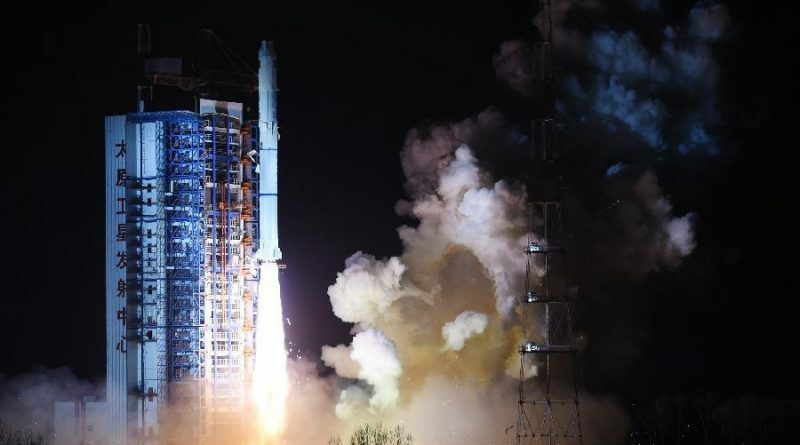 The satellites launched on Friday are designated Yaogan 30 Group 02, joining three Yaogan-30 series satellites launched atop a Long March 2C on September 29. The air route closures issued for the Group 02 launch are nearly identical to those for the first launch, indicating the second trio will be headed into a similar orbit but into a different plane to optimize the revisit times between the individual satellites – a telltale sign of a reconnaissance constellation. Yaogan is the designation of China’s low-orbiting reconnaissance satellite fleet, inaugurated in 2006 and comprised of optical, radar and electronic intelligence-gathering satellites operating from different orbits between 400 and 1,200 Kilometers in altitude. The Yaogan 30-01 designation emerging after the September 29 launch was particularly confusing since an earlier satellite in the Yaogan series had already flown as YG-30, launching from Jiuquan in May 2016 on a Long March 2D and joining the optical reconnaissance component of the constellation 650 Kilometers in altitude. The Chinese Academy of Science’s Small Satellite Center was revealed as the prime contractor of the Yaogan 30-01 satellites. 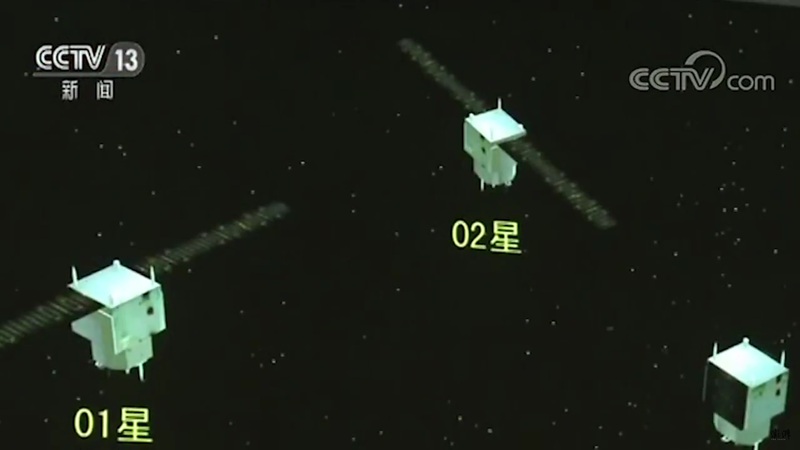 According to official statements, the Yaogan 30 series is used for electromagnetic environment research – fitting within the typical cover for the Yaogan satellites that are described in official documents as serving scientific purposes even though their real tasks have long been revealed. Triplet launches under Yaogan started with the Yaogan 9 mission in March 2010, followed by four more through 2014, closely resembling the formation-flying Naval Ocean Surveillance Satellite System operated by the U.S. from the 1970s to the turn of the century when the system switched to pairs of satellites. Keeping the satellites in a close formation allows them to triangulate the positions of foreign ships through their radio signals, also providing additional characterization of radio emitters at sea and on land for other electronic-intelligence branches. 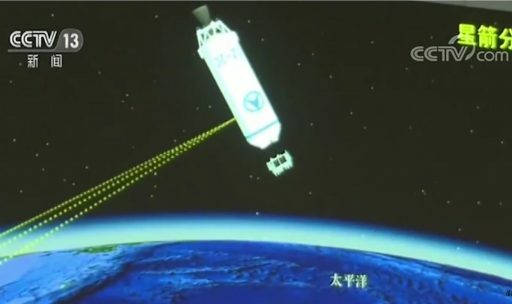 However, unlike the previous Yaogan triplets, the Yaogan 30-01 group did not enter a close formation and drifted apart in the weeks after launch before conducting stationkeeping maneuvers, forming a three-satellite constellation spaced by 120 degrees in their orbital plane – a pattern appearing to be optimized for revisit time. After stabilizing, the satellites now operate in a 598 by 602-Kilometer orbit, inclined 35 degrees. The low inclination for the mission appears peculiar compared to the 63° orbits used by the original Yaogan triplet formations and NOSS fleet operated by the U.S. The 35-degree orbit of the Yaogan-30 series provides coverage of the world’s major population centers as well as the most frequented shipping lanes including areas of interest like the South China Sea, North Korea, the entire continental U.S. and the Chinese mainland. Orbital data for the satellite trio launched on Friday will provide insight into the setup of the constellation that will likely consist of satellites in multiple orbital planes to create a rapid revisit capability to deliver extensive radio characterization of ground sites. In action on Friday was the Long March 2C rocket, conducting its 43rd mission and the first since November 2014. A member of the Long March family, the 2C vehicle was derived from the DF-5 ballistic missile and first flew back in 1982, keeping a solid record with only one previous failure.